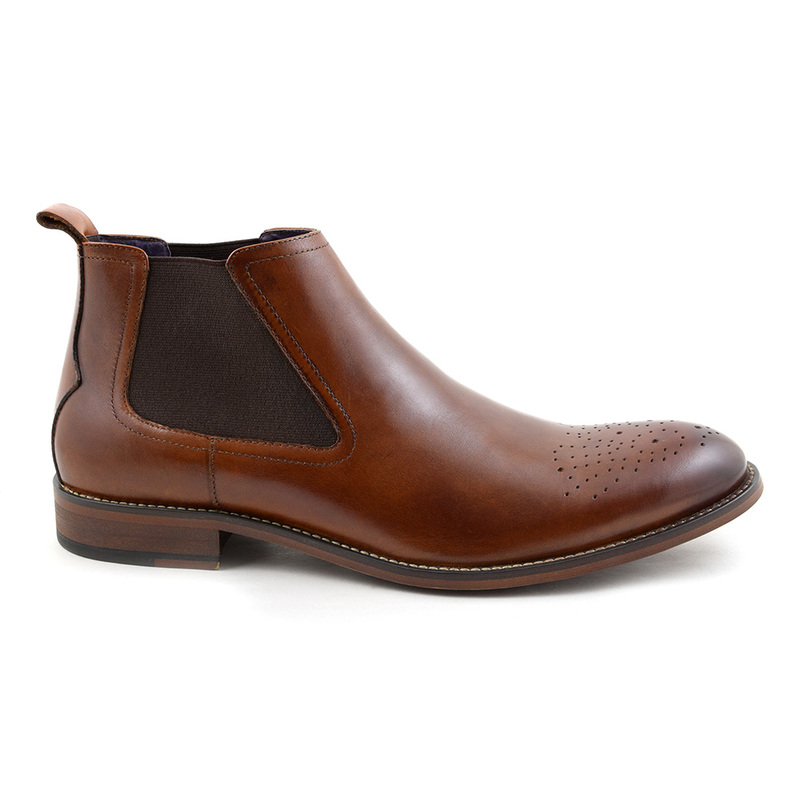 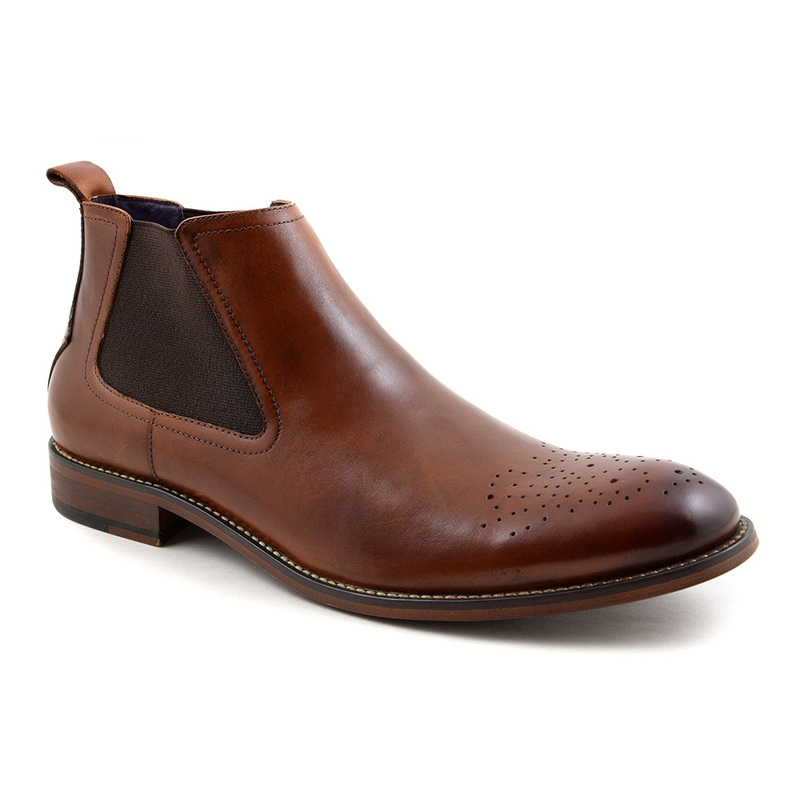 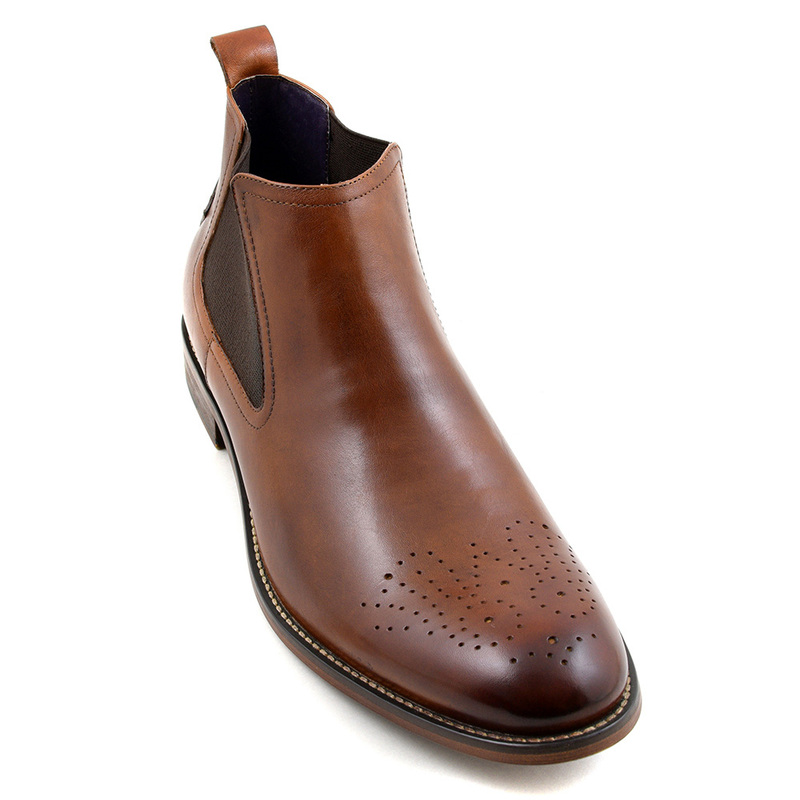 These boots have warm carmel tones and are a burnished leather. There is rose broguing to the toe and a dark brown side gusset. 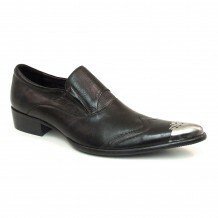 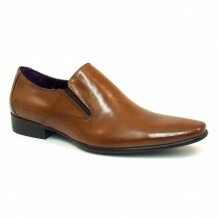 There is also a colour bleed into a darker brown to the toe and contrast stitch to the outsole. 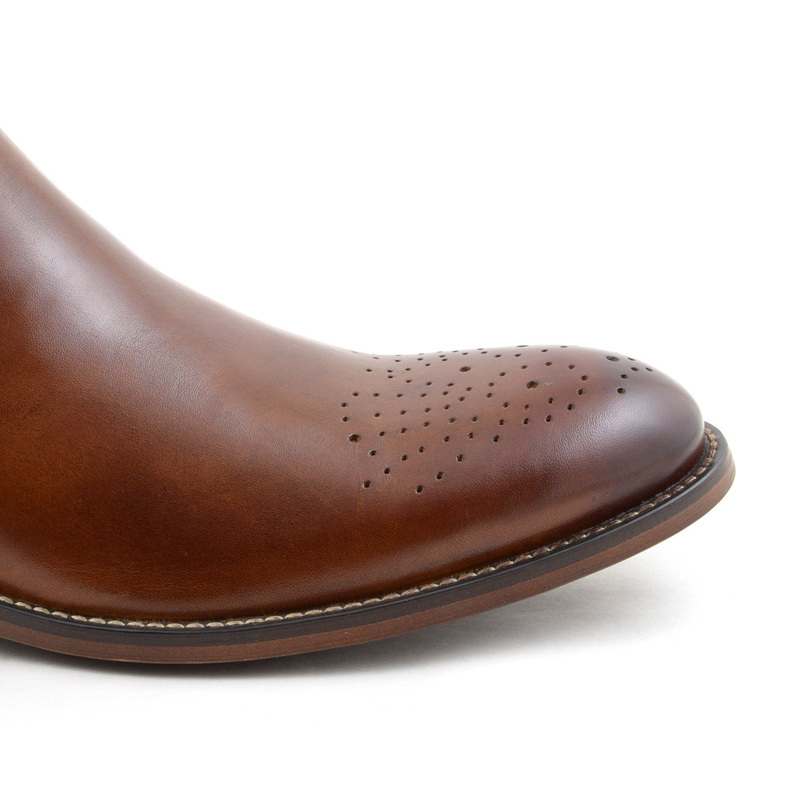 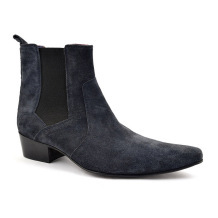 A solid chelsea boot that will take you far. Be the first to review “Roman Dark Tan Chelsea Brogue Boot” Click here to cancel reply.